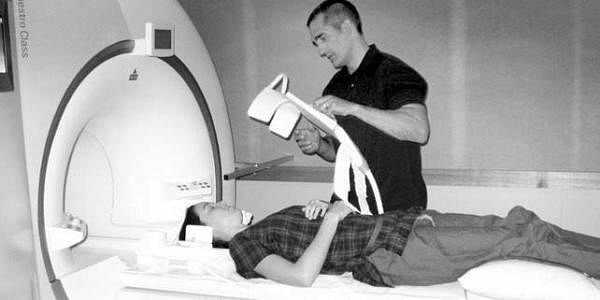 Magnetic resonance imaging (MRI) is an advanced imaging technique producing high quality images of organs and soft tissues in the body. BENGALURU: Magnetic resonance imaging (MRI) is an advanced imaging technique producing high quality images of organs and soft tissues in the body. Since its introduction in early 1980, MRI has seen numerous technological advances and innovative designs for advanced clinical applications. Today, MRI helps the physician in accurate diagnosis and surgical planning across specialities. MRI is the investigative method of choice for neuroimaging (visualising the brain and associated structures). It helps to diagnose and monitor demyelinating diseases that damage the protective covering known as myelin around nerve fibers in the brain and spinal cord. It can diagnose dementia, cerebrovascular diseases, infectious disease, epilepsy and tumours. MRI advanced applications also help in management of stroke and can also help to assess the extent of spread of a tumour in the brain tissue. Normal human liver tissue is very soft to palpation at surgery. It becomes firm to hard in chronic liver disease. MRI can measure mechanical properties of tissue and help in diagnosis of hepatic fibrosis. MRI (Enterography) provides non-invasive assessment of inflammatory bowel disease and small tumors. It also helps in detecting small-bowel inflammation and complications like bowel obstruction. MRI has revolutionised the treatment of musculoskeletal disorders through display of high definition images of tendons, ligaments, muscles, joints, bone and articular cartilage. MRI allows visualization of the cartilage. Cardiac MRI is the most precise technique for measuring volume, function and mass of the heart’s chambers disease. The development of intra-operative MRI techniques provides the neurosurgeon with live information required to perform accurate image guided surgery. It helps removal of tumours without damaging adjacent brain structures. It also tells him whether the entire tumour has been resected without having to wait for imaging after the operation. MRI guided ‘high intensity ultrasound’ helps in management of fibroids and some other tumors noninvasively. MRI is clinically useful in the evaluation of suspected urinary tract obstruction, hematuria (blood in urine), and congenital defects, and can be particularly beneficial in pediatric or pregnant patients or when ionizing radiation is to be avoided. MRI is useful in to get detailed imaging of uterus and ovaries. Fetal MRI can detect fetal anomalies. Aster CMI has a state of art Philips Ingenia 3T MRI providing improved image quality, faster acquisition with new advanced software for better diagnosis leading to better treatment planning.